A concise review of the most recent research and how it can be used in the field, with a panel of distinguished editors and a team of international contributors, this book is an invaluable reference source. 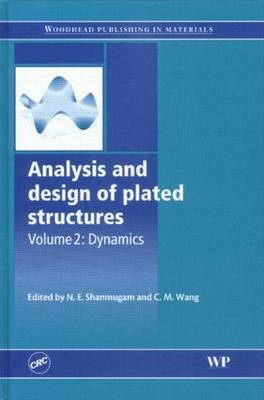 It discusses the modeling of plates for effects such as transverse shear deformation and rotary inertia, assembly of plates in forming thin-walled members, and changing material properties in composite, laminated and functionally graded plates. It includes discussions of recent techniques for linear and nonlinear vibration analysis and concludes with a hybrid strategy suitable for parameter identification of plated structures and hydroelastic analysis of floating plated structures.